Social Media has taken the times by storm and whether you like it or not, it’s everywhere. This is why you should utilize it to grow your business. The best kind of online marketing is something that knows who it’s for and what it’s there to do so without further ado, here are the most effective online marketing moves you can do to grow your brand. There’s a reason why Instagram models exist nowadays. The people believe in other people, especially famous ones so it’s good to invest in some of these influencers. Just keep in mind to make use of ones that are appropriate and related to your brand so your money doesn’t go to waste. Influencers are individuals who have the power to affect the people in making purchasing decisions because of their fame, knowledge and popularity among their audience. They also usually follow a particular niche which is where they are mostly active. Most influencers fall into the following categories: celebrities, industry experts, bloggers and content creators. They are mostly influencing people in social media especially in blogging. This shows how important they are in promoting your brand. You can also collaborate with a blogger to guest post or work with an online publication to create an interesting article that relates to your product. Here are some articles and influencer campaigns in the Philippines that make use of this strategy. 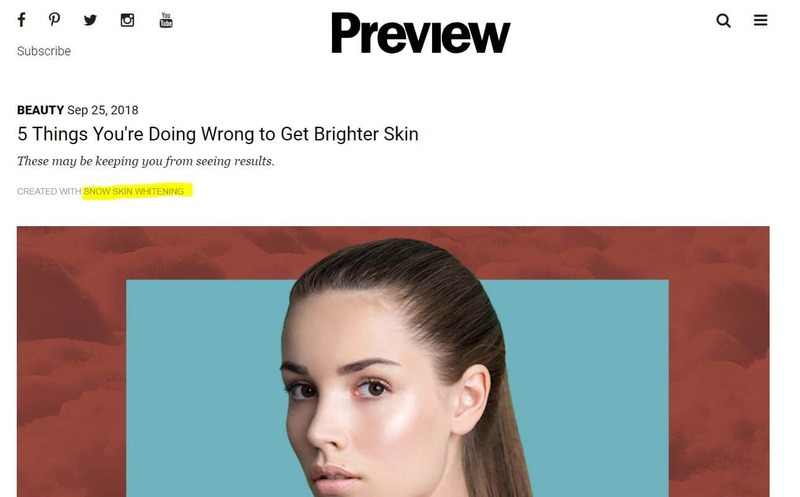 As you can see, this article is in collaboration with Snow Skin Whitening but it is integrated in an interesting article that people will be interested in and will therefore interest them in the product. 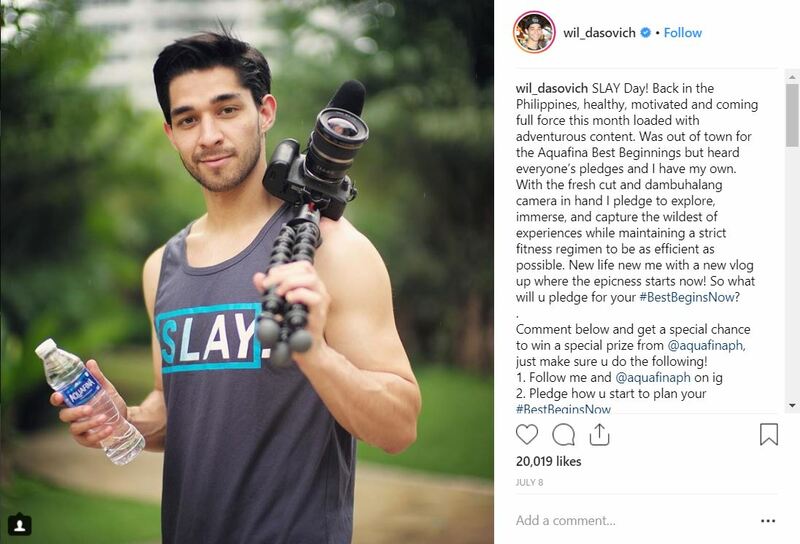 Meanwhile here is a sponsored post of Will Dasovich for Aquafina. Since he lives an active lifestyle, he was considered to be an endorser for a water brand so it’s a good partnership. When you showcase reviews and customer testimonials, it’s an easy and free advertisement for your brand. Aside from being cost effective, it shows how you put your customer first because all you potential and current customers want to know how the product is in real life so your former clients are able to prove the quality of your product. These are able to boost the customer’s decision to buy the product and are also able to aid you in seeing how you can further improve your brand. You can encourage your customers to leave you reviews especially those who have been using your brand for a long time. This also makes your more visible as you may be featured in other websites that offer revews. This builds up your reputation especially when you are in your early stages and they just build naturally. Locally, here are some brands that offer reviews for their products. Here is Shopee with product ratings and reviews at the bottom of the page. You may even post a photo to show if the product is the same as the one they promote in the photo. 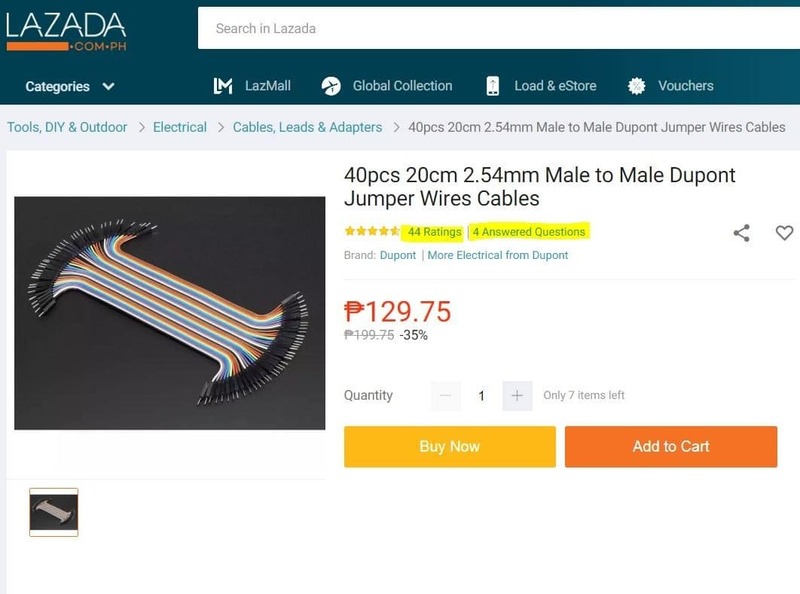 Meanwhile, Lazada takes it a step further as you can also answer questions about the product so you can really be sure of the product you are buying. Video ads have been appearing everywhere especially now as it is becoming a dominant part of marketing because publishers love them. They offer a type of interruption marketing like ones you are forced to watch on TV. These make people stop and notice the advertised product or service. It’s very common to come into a website or blog and see a complete video ad in the middle of the content. It is also sometimes in the middle of videos you are watching. It may be annoying to some but if placed on the right website and blog it, is effective. This means it isn’t going away. Video ads are available on several social media sites especially in important ones like Facebook and Instagram. These offer you great targeting options letting you get more effective results than traditional marketing. It’s a smart strategy to run single video ads across the different channels like blogs and social media sites. This will give a nice ROI with low cost production. Touching video ads are also everywhere in the Philippines right now that only put a subtle emphasis on the product. There is the Jollibee series of ads that caused a lot of tears. There are ads that we see but don’t bother the theme of the website because it looks like a natural part of the website. This looks like a part of the actual blog but in clicking those ads, the publisher of the website earns a fee. These are only going to grow over the coming years because of the following reasons. They don’t annoy the visitor as it presents a better experience since some get turned off by interruption marketing. This causes publishers to turn to this option in order to not lose any subscribers but still earn from their website. These also offer a great option to promote the brand because these make use of intense almost clickbait headlines that will get prospects easily. There are titles like “What Your Insurance Company Won’t Tell You” and these attract audiences and build businesses. 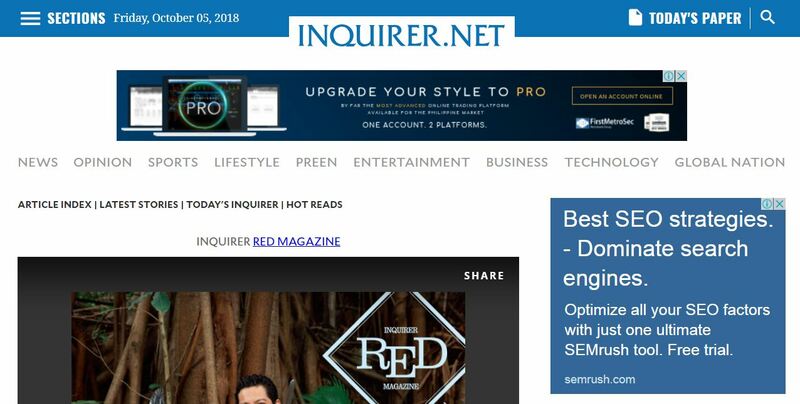 Inquirer makes use of this technique as seen from the SEA ad that is presented at the side. It doesn’t overwhelm you but you can surely notice you as you browse the page. Meanwhile Young Star promotes whiskey in their page that still blends with their website. It’s also at the top so it’s the first thing you see so it is definitely noticeable by the person browsing the page. 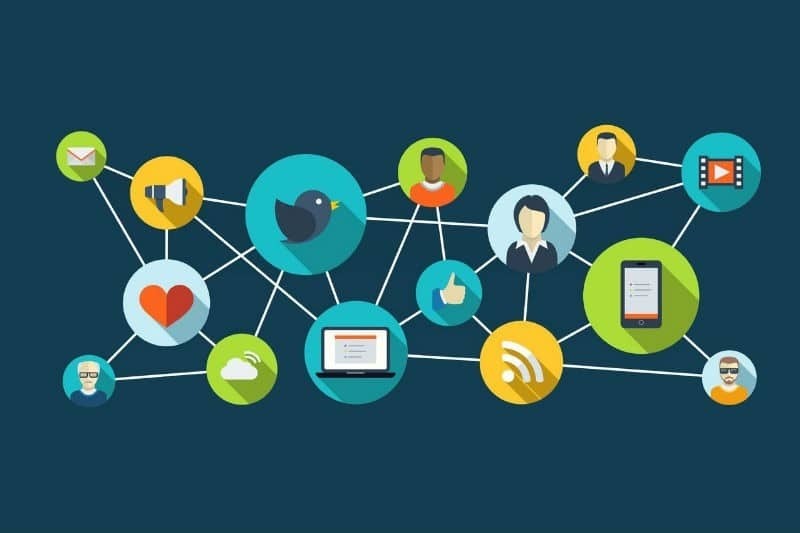 To wrap this up, there are a lot of alternatives you can take in order to promote your brand and give it that online boost that it needs but if you feel like you need help and professional skills, here at EOI Digital we can help you get that online marketing goal you want to achieve so hit us up today!